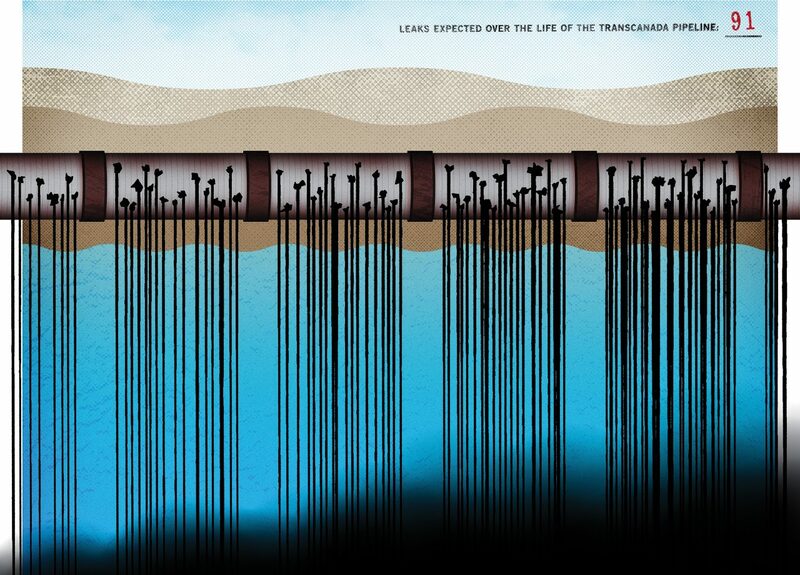 A multi-year, multi-channel campaign to stop the dangerous route of TransCanada’s Keystone XL Pipeline. 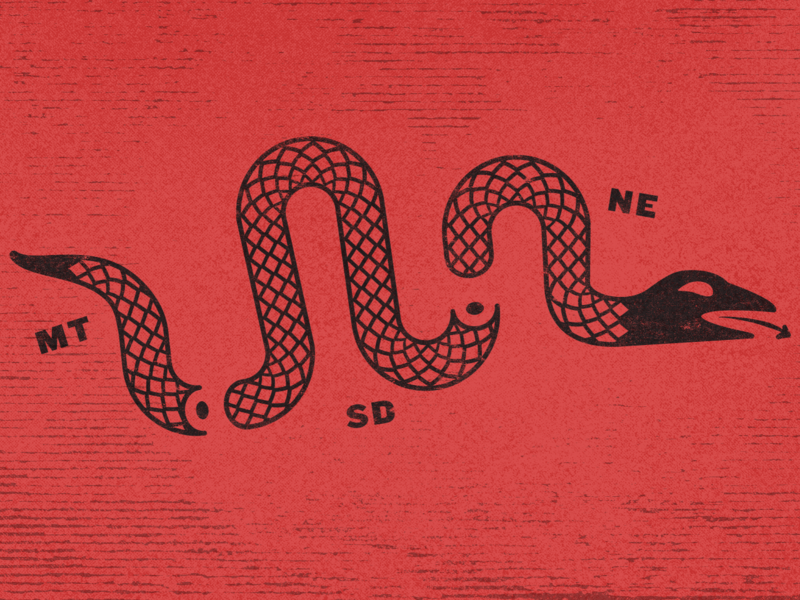 Bold Nebraska launched in 2010 as an organization determined to change the political landscape and restore political balance. Their website was created to be a news site and action hub for progressives, independents, moderates, and populists in the state. Its focus was on Nebraska energy, government accountability, health care reform, local food, and what would become its central issue over the next six years—stopping the KXL pipeline. When this fight began, Keystone XL was just another dirty pipeline being built by a powerful corporation with plenty of influence. The project was inevitable and the idea of stopping it laughable. Those in the path of the pipeline could maybe slow it down a little, but in the end, the corporation would win and the people would have to get out of the way. Design for one movement, across multiple platforms, for the long haul. Be ready at a moment’s notice for a quick response and make sure the campaign has what it needs to move people with a sense of purpose. Create the visuals to inspire action, to spark creativity, and to help fuel the determination of the people on the ground. 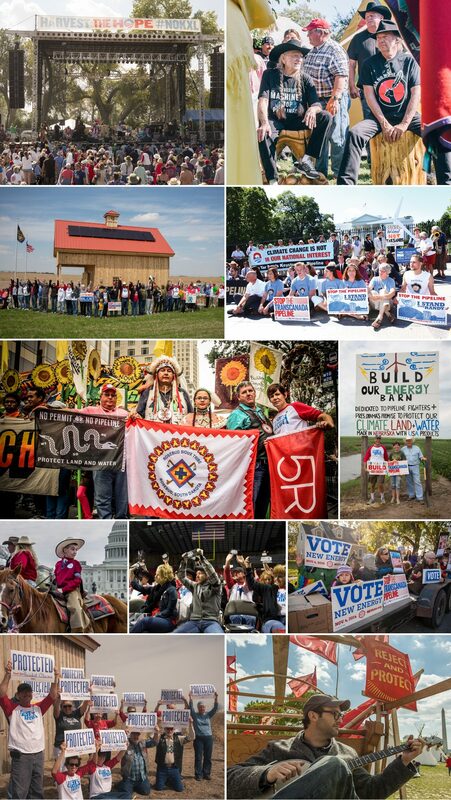 To take on KXL, we made it political and we made it personal. Jane Kleeb is Bold Nebraska’s Executive Director and one hell of a community organizer. From the beginning, we worked closely with her and the rest of the Bold team on the creation of numerous key branding campaigns, several microsites, rally signs, plenty of swag, and hundreds of share graphics. We encouraged constant action with creativity and a strong sense of place. 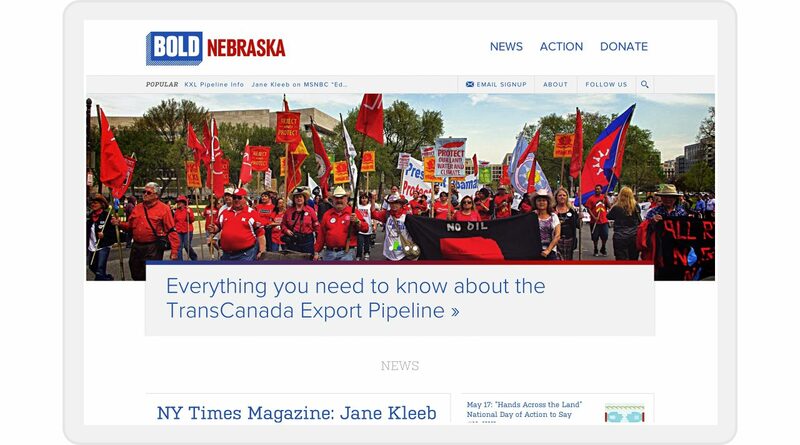 With the support of key national organizations and the dedication of many Nebraska activists, we were able to act as design and development partners in the #NOKXL struggle. 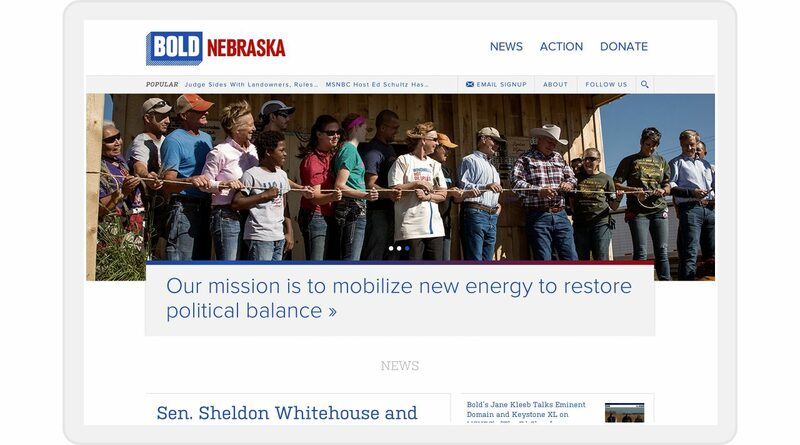 The Bold Nebraska website was the central hub for the movement. All news and actions started there. Bold’s brand was designed to exist within the modern, political space with its own unique twist—the bold block. Then it was meant to get out of the way allowing for individual campaigns to lead the charge toward whatever short-term goal helped move us move the needle. 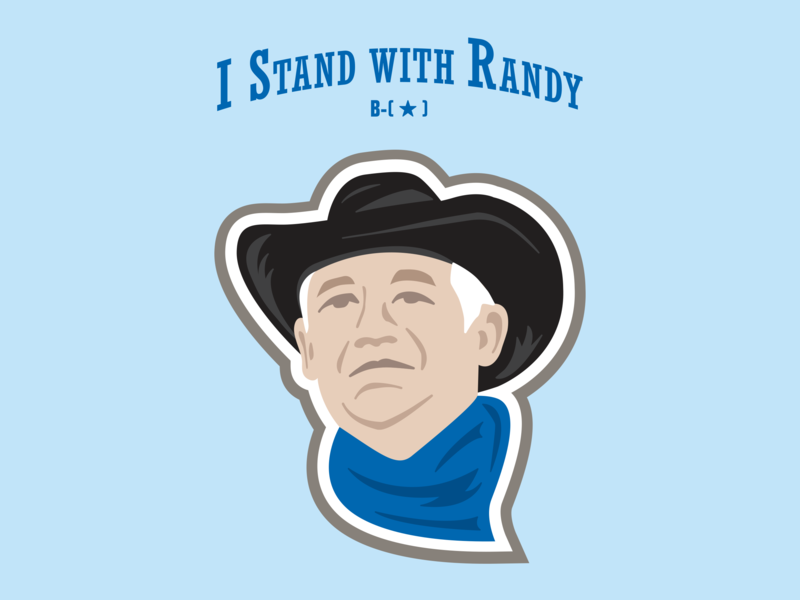 We asked supporters to Stand with Randy and Stop the Pipeline. We were determined to Build Our Energy and Harvest the Hope. 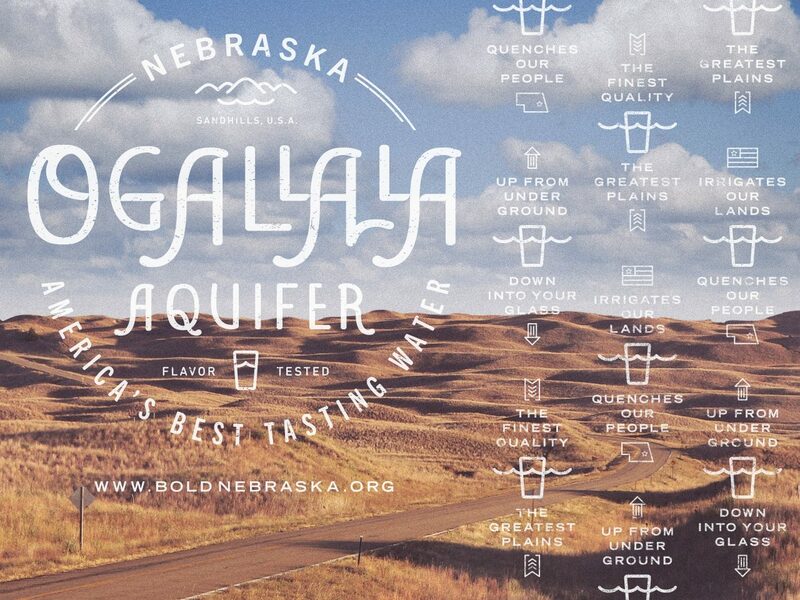 We let people know KXL was All Risk No Reward and decided to brand the Ogallala Aquifer after its America’s Best-Tasting Water award. 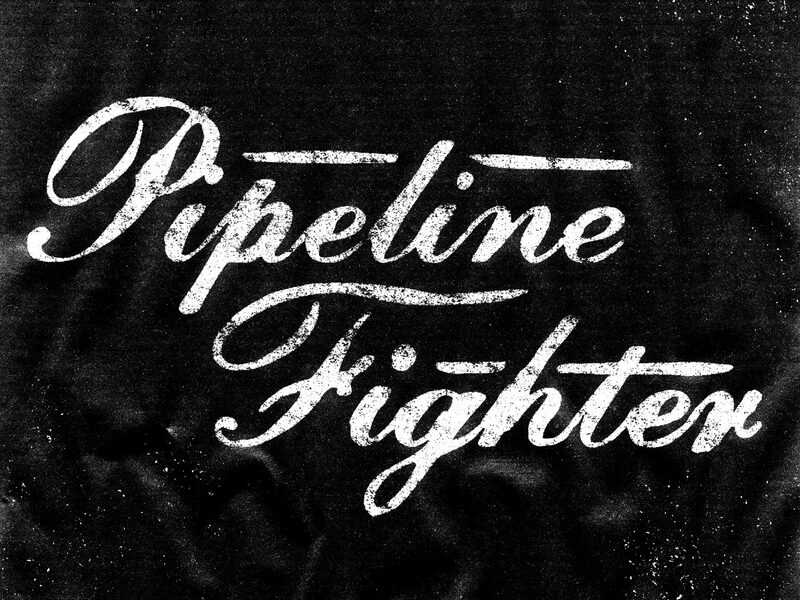 We called on Pipeline Fighters everywhere to be New Energy Voters. And as we sent Dear President Obama letters, we demanded the President Reject & Protect so our precious natural resources would be here for generations to come. 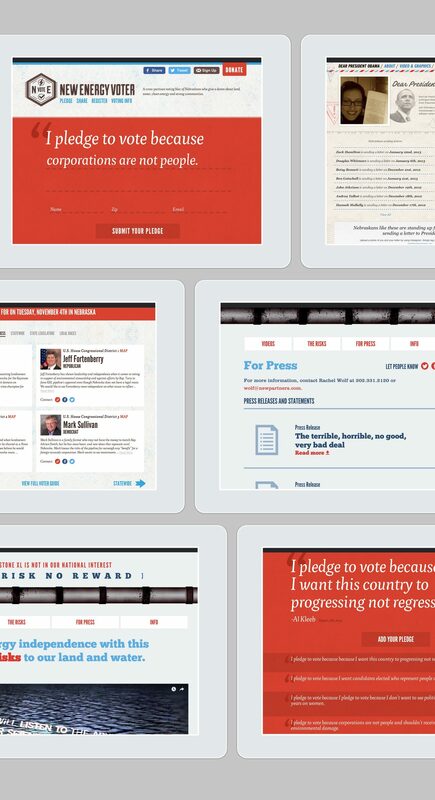 For the larger campaigns, we designed and developed three important microsites at various stages of the #NOKXL effort. Dear President Obama allowed people to commit to sending letters to the President with an Instagram feed that pulled in photos of people using the NOKXL hashtag. 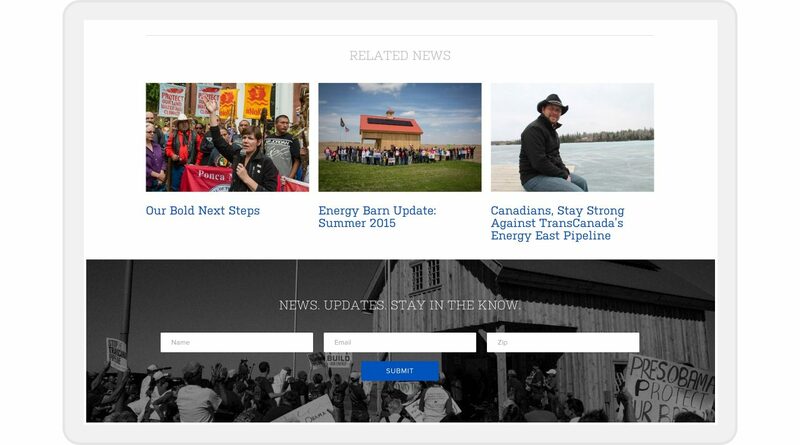 At a crucial time for getting anti-pipeline news and information out, All Risk No Reward provided key details specifically meant for the press. And in election years, New Energy Voter was a cross-partisan voting bloc of Nebraskans who gave a damn about land, water, clean energy, and strong communities. On the site visitors could pledge to vote and have access to a progressive voter guide on statewide candidates. This campaign will continue in 2016. From rural Nebraska all the way to the White House, the rallies and on-the-ground events were a remarkable force. 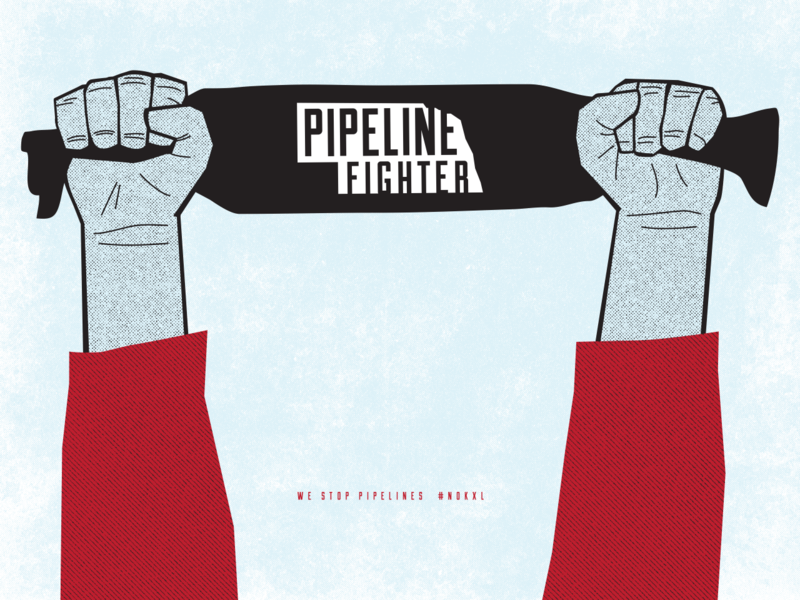 They brought together an unlikely alliance of people to stop this pipeline. Landowners, farmers, ranchers, Native Americans, students, hipsters, elected officials, and community activists worked on local and national levels in spirited fashion. 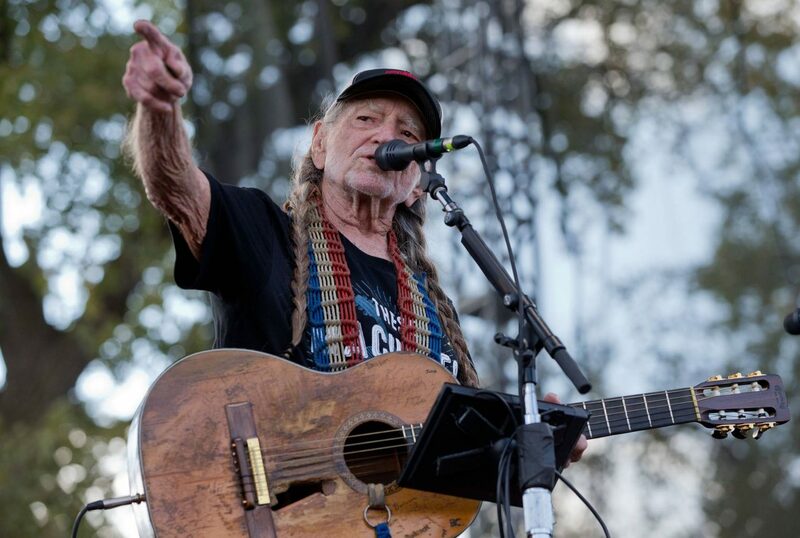 Willie Nelson and Neil Young played a concert in a corn field. After raising $65,000 online, a solar-powered, clean energy barn was built right in the middle of the proposed route. One year, numerous people were arrested in an act of civil disobedience in front of the White House. Another year, cowboys and indians rode their horses on the streets of D.C. demanding an end to this long fight. We joined in the largest climate march in history in NYC. And, of course, we got out the New Energy Vote going door-to-door in neighborhoods across Nebraska. 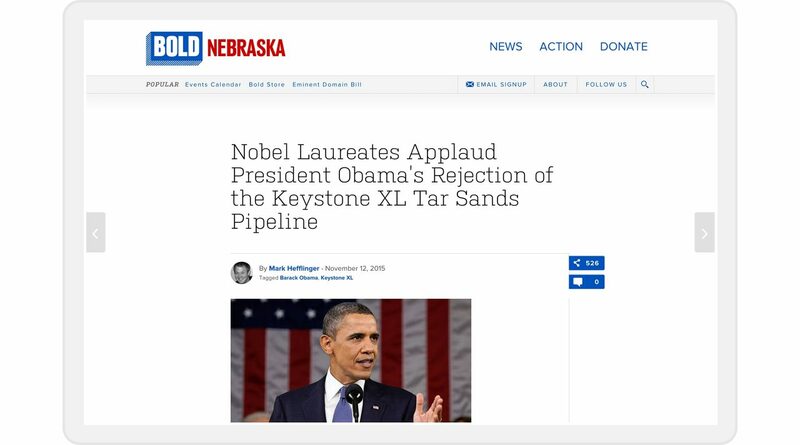 On November 6, 2015, President Obama stood with citizens to protect our land, water, and climate by rejecting the Keystone XL national permit. It was the first time a President has rejected a fossil fuel project based on climate change. 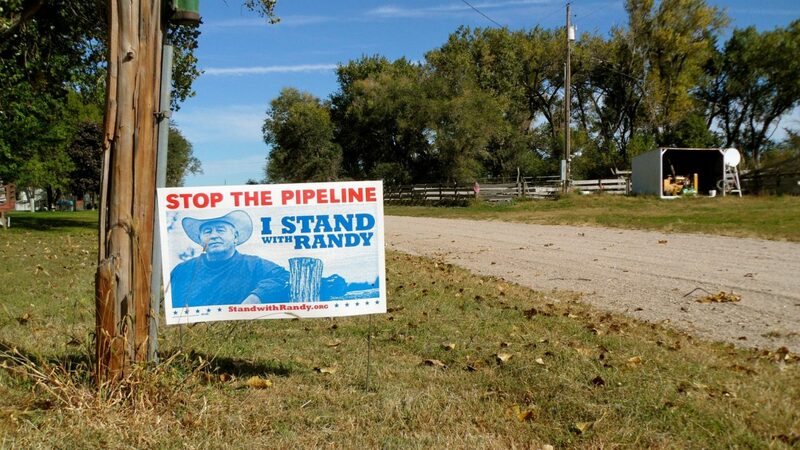 The pipeline’s rejection marked an historic victory for farmers, ranchers, Tribal Nations, and the unlikely alliance that formed to fight an uphill, six-year battle that no one believed we’d ever win. For us, it seemed to have started with a simple yard sign on a gravel rode in rural America. And it ended on the national stage in our nation’s capital. 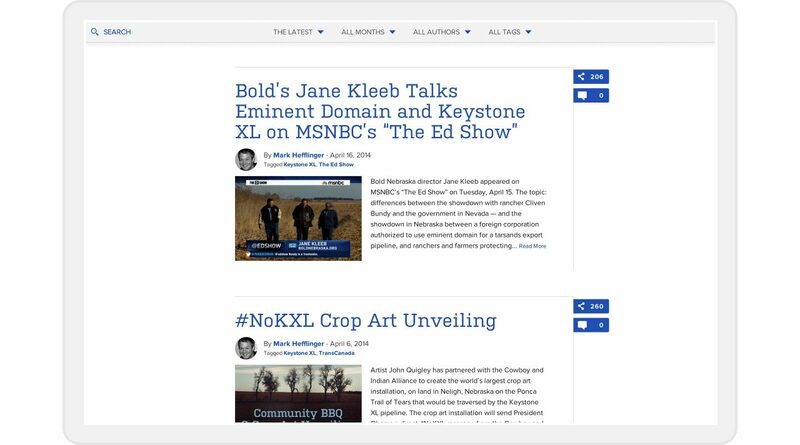 For a little more background, Jane Kleeb vs. the Keystone Pipeline was published by the New York Times in 2014. With one historic victory under their belts, Bold Nebraska is looking toward the future for clean energy activism. The new phase for the organization is already in the works. Until then, it’s safe to say this #NOKXL battle includes some of our most important work. From its successes and failures, we’ll take what we learned and continue to fight for a bright future. Bold Nebraska continues to fight for clean energy and people power. 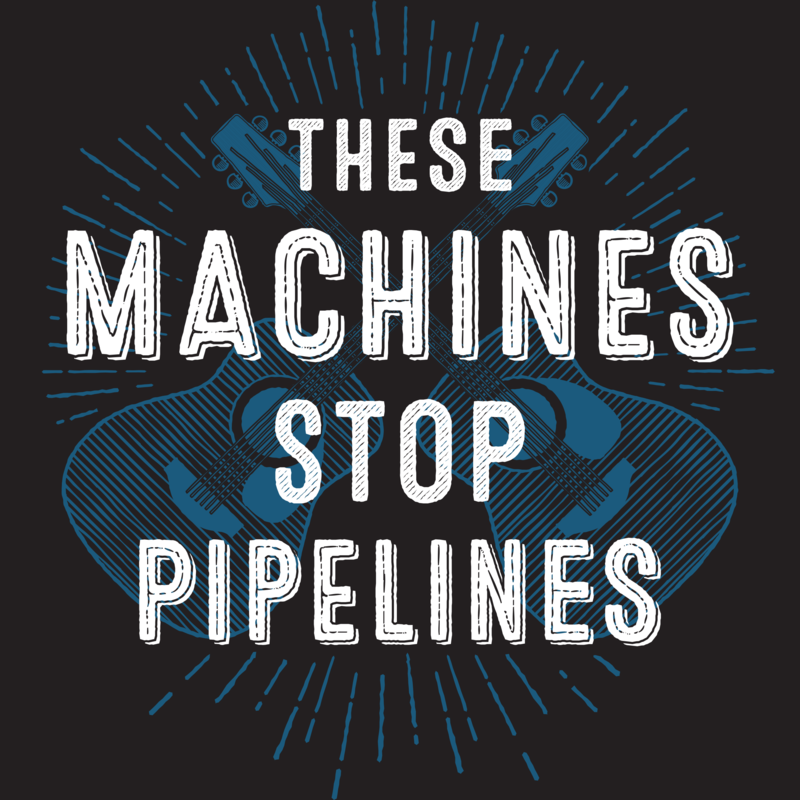 Facebook Twitter Email How to stop a pipeline.